On the 3rd day of Christmas my true gave to me...a cherry bomb mocktail. Mix, serve over ice and enjoy! 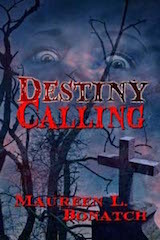 And while you're enjoying your cherry bomb, you can check out Maureen Bonatch's enthralling new release, DESTINY CALLING. Drawn back to the home town she vowed never to return to, her ability is seen as an asset to everyone but Hope, and she doesn't know who to trust. Her family wants her to help them overcome an enemy oppressing the human population, while the man of her dreams is courting her for the Underworld. Pick up a copy today at Amazon or Wild Rose Press. As part of The 12 Days of Christmas celebration, Maureen donated a $5 Amazon card, paired with a bag of heart-shaped pasta from Abigail Sharpe to the prize list. Click HERE for this and many more random drawings. To follow the celebration, find a new recipe, pick up a holiday decorating or shopping tip, click HERE. Since her desire to become a Solid Gold Dancer was thwarted when the show was discontinued, Maureen opted to pursue other paths. 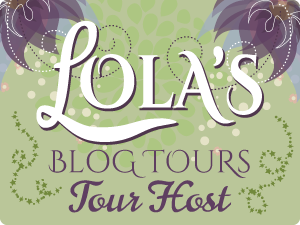 Attempting to conquer new endeavors proved fruitful with her first novella, while other attempts, such as challenging a fear of heights with parasailing, were unsuccessful. Therefore she’s chased other interests, though none-the-less-daring, but closer to the ground, such as belly-dancing, becoming a self-proclaimed tequila connoisseur, fulfilling her role as biker babe to her alpha hubby and surviving motherhood to twins (so far).